Sixteen-year-old Ajlek Stedman is Dajhanin, one of the enigmatic wild people living in the rugged Ojberdine-Haijlan Mountains. Although gentle and peace loving, the Dajhanin are nonetheless viewed with fear and suspicion by the civilized world. Abducted from his mountain home when only an infant, Ajlek has been raised by a young surgeon named Bill Stedman who has struggled to protect Ajlek from abuse. Ajlek's innately gentle nature is tested when his sensitive mind begins to change and he discovers something deadly festering deep in his subconscious. Ajlek soon uncovers a secret so menacing that it threatens to destroy the Dajhanin and the lives of the people he loves. He alone has the power to defend them, but to do so, he must first overcome the brooding darkness in his powerful mind. Along the way, he discovers a destiny ordained a thousand years before he was born, one that could lead him to greatness. However, one mistake could cost him everything—including his life. 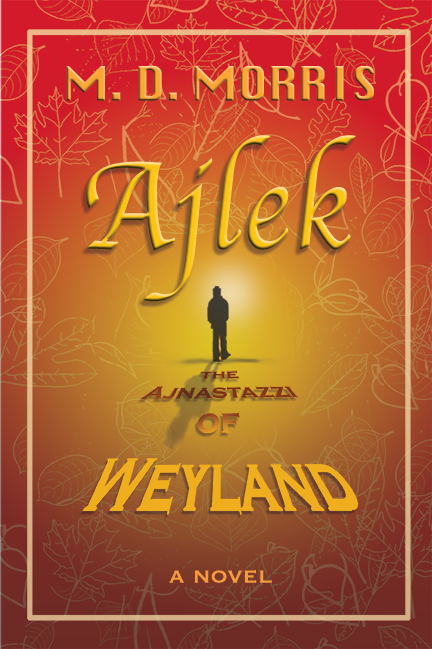 "The story of Ajlek will challenge your way of thinking about human potential. Ajlek represents all of us as he seeks to mature and grow into his unique life's mission. Along the way he must hold onto his gentle and intuitive nature, while battling his personal demons and the dark side of the culture in which he finds himself. A fascinating account of the transformation of an adolescent as he embarks upon his own 'hero's journey'." "Ajlek's poignant and challenging path to his destiny captures the imagination, warms the heart, and pulls you directly into his world."